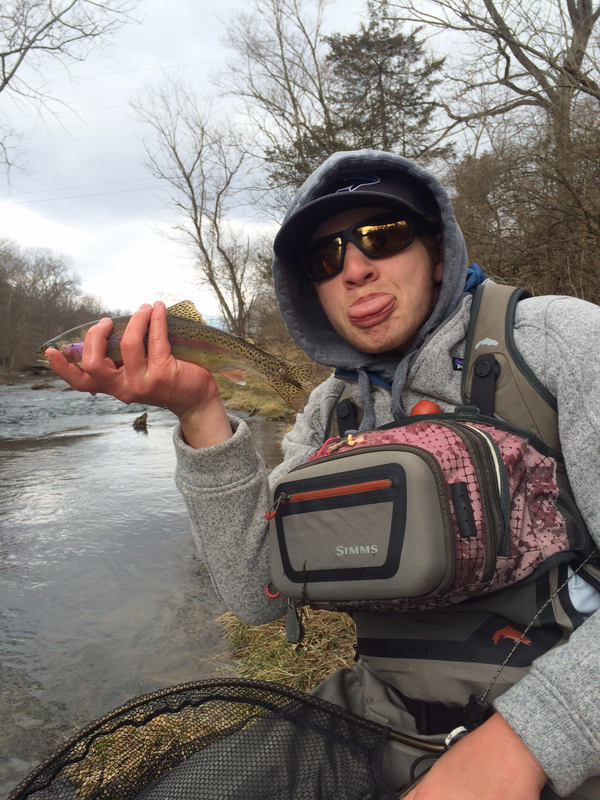 What angler isn't curious about what flies his fellow fishers carry in their fly boxes? 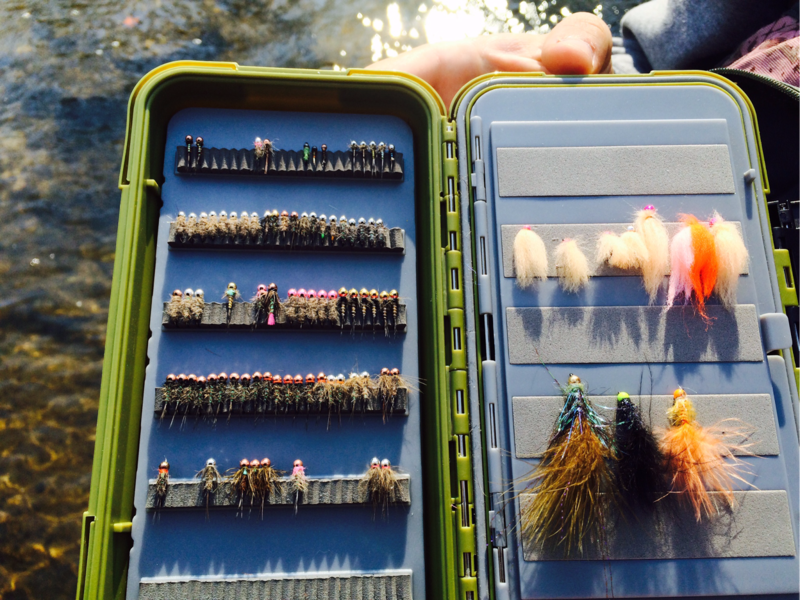 Well, here is a glimpse into one of Doug's fly boxes as he readies for the spring season and the competitions he has on his schedule. Most of these flies are very typical of a comp angler's arsenal - carefully designed and quick to tie for the most part - excepting the mop flies and the wiggle worms you see in the bottom right of the second photo. These flies are quick to tie, for sure, but the design is as simple as it gets. One, the cream colored fly, has a beadhead and a piece of mop fiber tied behind it - Doug says this fly imitates a cranefly larva well. The other, the wiggle worm, is a beadhead with a piece of round, soft rubber tied behind it to imitate a worm. Both flies are simple, and according to Doug, very effective. In the next few weeks, I'm sure Doug will have these boxes completely full and ready to go. Doug is out fishing today - seems he wants me to know I should be out fishing, too. Love the worm's... The crane mop fly's are a very clever idea. Fun to see the insides of Doug's box... How about you Mr Grobert :)? How am I supposed to accurately copy Doug's patterns if that's the closest shot you can get? Hmmm? What ever happened to pheasants and peacocks? Mr. Q - The KID sure can catch fish.....these days!